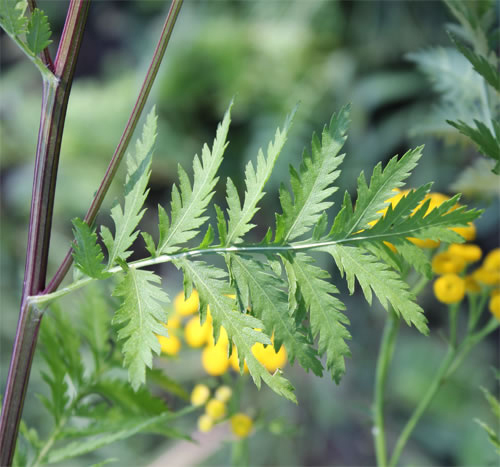 In the 1600s, common tansy was introduced to North America from Europe. Traditionally, its foliage has been used medicinally as an insect repellent and for embalming. 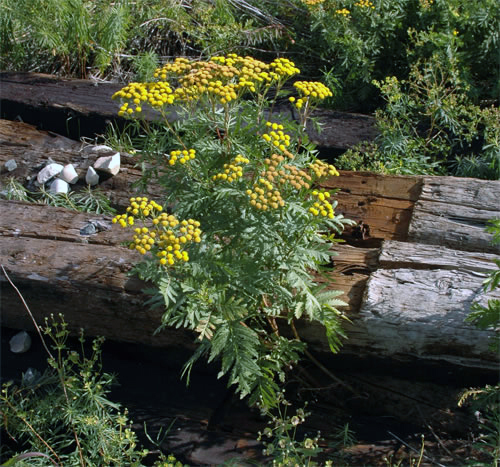 Common tansy invades disturbed areas, roadsides and grassland and can form dense stands in these habitats. It contains alkaloids that are toxic to both humans and livestock if consumed in large quantities. Grazing livestock avoids common tansy if they can. Therefore, livestock poisoning is rare. 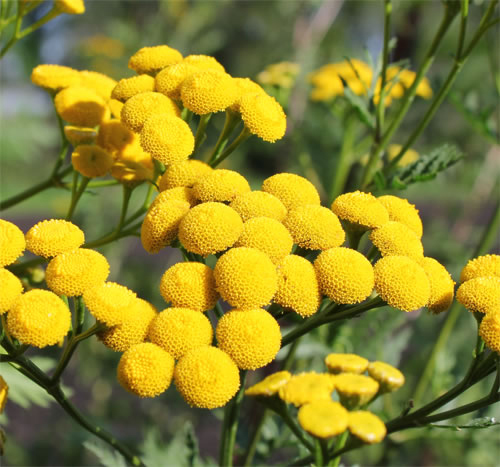 Common tansy has unique yellow, button-like flowers that are arranged in dense, flat-topped clusters at the end of the stems. The leaves are deeply lobed or pinnate and alternately arrangement along the stem. Stems are round, often purplish-red, and dotted with glands. This plant can grow up to 5-150 cm high.